Traveling has become really convenient and friendly these days. You need not to do any planning or arrangements to go to another place. Even if you have to attend an event in another city and that too very next day, you can do it without any hassle. There are options that you can avail to make your journeys easier, convenient, and much friendlier. Of course, if you are traveling by car or bus, it might be little tiring and tensed for you. But if you take a train, journey would be flying colours. If you have to go to Mumbai for some event, you can check out Delhi to Mumbai trains. There are trains that take you to Mumbai fast, without hassle and in the most comfortable way. 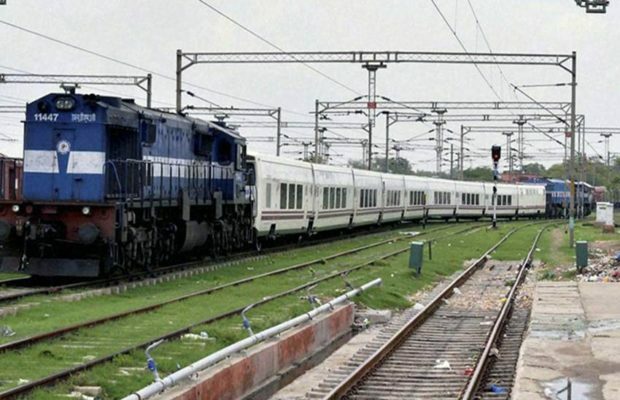 If you don’t believe, try to book a ticket on one of two most famous trains on this route namely the Mumbai Rajdhani and the August KrantiRajdhani. These two are one of nearly twenty trains that make the journey daily and are always full. These trains depart in the evening and reach in the morning. You need not to lose your day; you just have to sit in your compartment and relax. You enjoy the journey, and you don’t have to panic about food or even postponements, everything is always on time. Comeon; admit that you hate the overcrowded seats in a flight, the 2 hour long check in, and the travel to and fro from airport. It is okay to pick railways on planes. You should travel as per your convenience. There is no need to feel anything because of other people. There are many reasons that you should take trains only. If you are a busy person, and you need some rest, and you want to do some preparation for the presentation in Mumbai; make sure that you have a convenient way of traveling. If you take a plane, you have to spend much of your time in the formalities of check in and check out. But when you take a train, you just reach the platform on time and board the train. Similarly, since you have booked a ticket in a first or second class coaches, there won’t be any crowd or much rush. You would have your personal space to relax and go through your documents. You can take a night train so that you don’t end up wasting hours of your day. Of course, you can relish food too that is fresh, and hygienic. There is no need to panic about anything at all. Trains give you a homely feel that isn’t possible in a plane. The environment in planes is always in a hurry. The seats are crammed, and there isn’t anything wow about the landscape outside your window too. Thus, it is good to think about your options, and then, pick one that is suitable both for your situation and budget. There trains going from Delhi to Mumbai throughout the day. You can pick any as per your time constrains.